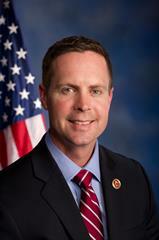 U-S Congressman Rodney Davis handily defeated a primary challenger in Tuesday's election, beating Ethan Vandersand 76 to 24 percent for the Republican nomination for Illinois' 13th Congressional District. Davis told Regional Radio News late Tuesday night, that he was humbled by the strong vote he received districtwide. And, Davis expects the Democrats to run someone as it's a 50-50 district between Republicans and Democrats. Davis says his strong showing bodes well for Republicans in his district. Davis said he was proud of the Republican candidates for president, and he'll back whoever the nominee is. Davis and his family reside in Taylorville.